In 2008, I won the Chicago Community Trust Fellowship and I got the chance to go back to the Philippines. That trip changed my life. In 2010, I wanted to duplicate that life transforming experience to young Filipino Americans. I want to give them the gift of travel and give them opportunities to create sustainable projects. 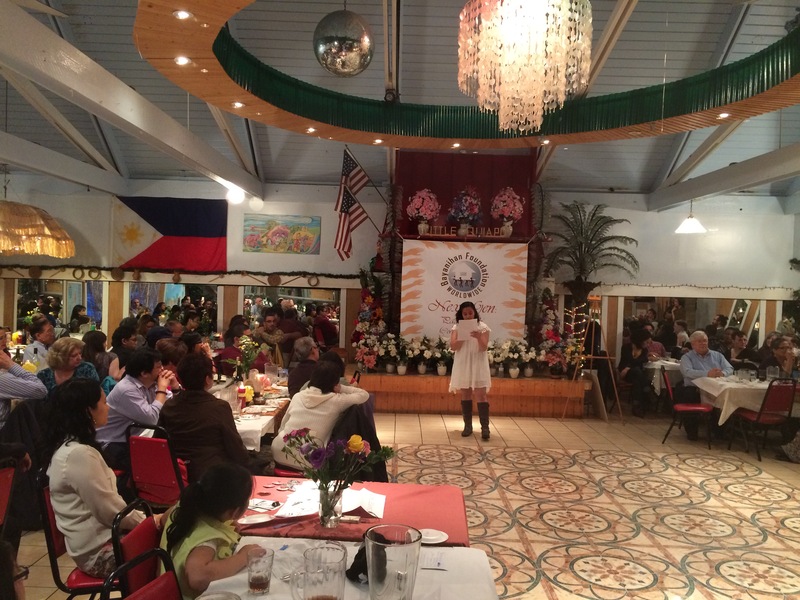 The idea was simple – encourage young Filipino Americans to visit the Philippines; know more about the culture; learn about the Bayanihan Foundation’s sustainable projects; and eventually they would develop their own sustainable projects. In 2015, after several tries, the NEXTGEN Travel Fellowship was finally up and running. 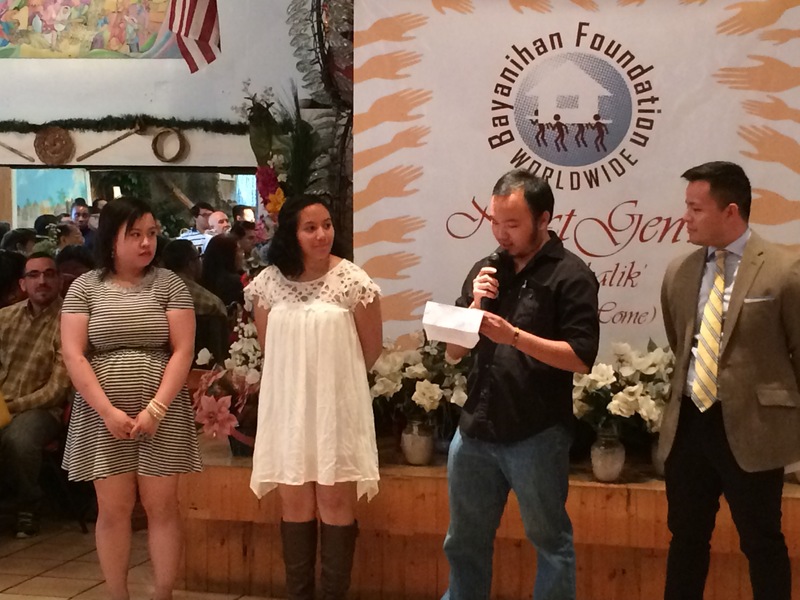 On May 31, 2015 at the Bayanihan fundraiser, board member James Castillo announced the names of the NEXTGEN Fellows – Jane Baron, Marc Butiong and Jeselle Santiago. I was standing in the back of the room when I heard his announcement. I could not believe it. I am finally taking the NEXTGEN Fellows to the Philippines, a culmination of a long-term effort. That evening, NEXTGEN Fellow Jane Baron also shared her poem “The Color of Revolution.” She captured the essence of my own personal journey and why I’m passionate to make the NEXTGEN Travel Fellowship a reality. “Since immigrating to the United States, the Filipino culture is something I have always valued, but in order to feel accepted into the American culture, I forced myself to forget parts of my culture that were labeled as different. It was only recently that I started to become confident in expressing myself through my culture. By immersing myself in Filipino history and culture, I started to understand the internal oppression that I have faced and still face, and it also taught me to fully love myself. My poem, “The Color of Revolution,” represents how I have felt about being forced to forget my culture, and it also tells my hope of rediscovery in the future. and chopped off my roots. and squeezed my heart like clay. and checked-in for an 18-hour flight. All forgotten and stuffed in a caged box. But my blue & bruised heart still attempts to fight for Freedom. …in the Color of Revolution. 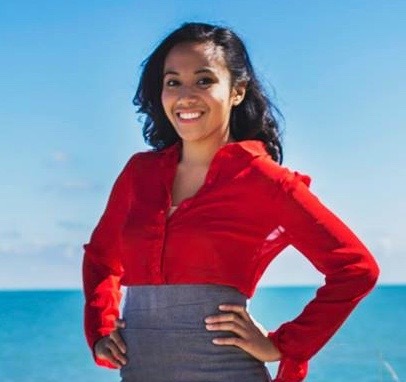 This entry was posted in Diaspora Giving, Philippines, Uncategorized, Youth leadership development and tagged diaspora philanthropy, philanthropy, Philippines, youth leadership development. Bookmark the permalink.